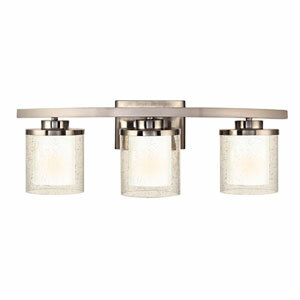 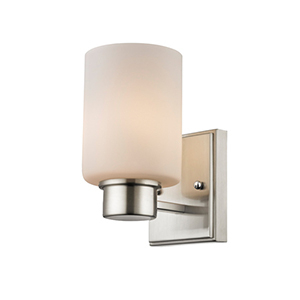 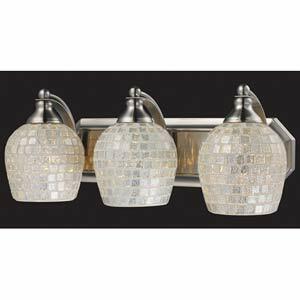 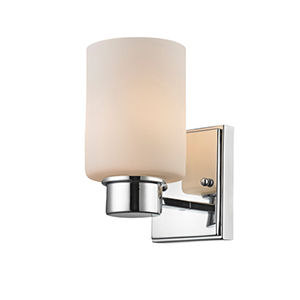 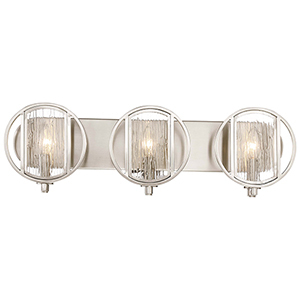 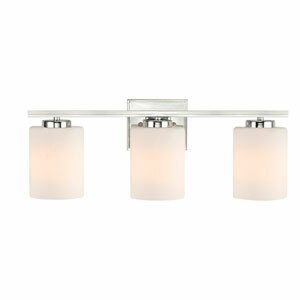 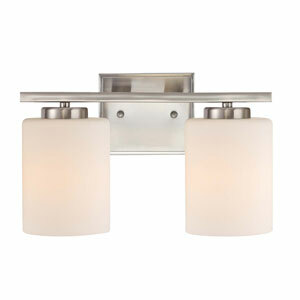 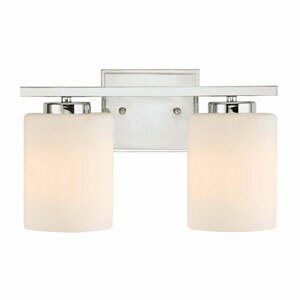 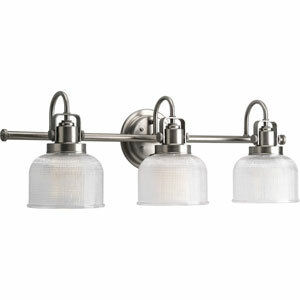 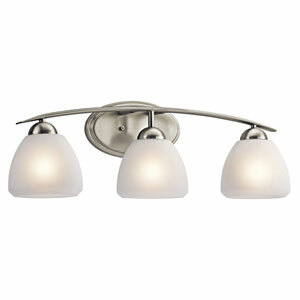 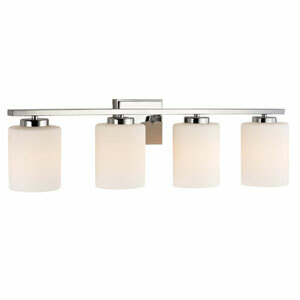 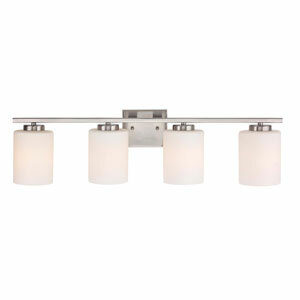 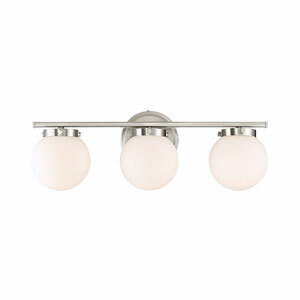 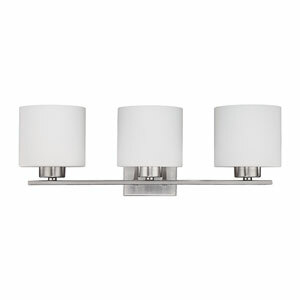 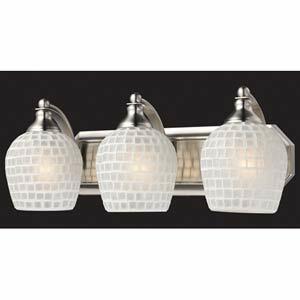 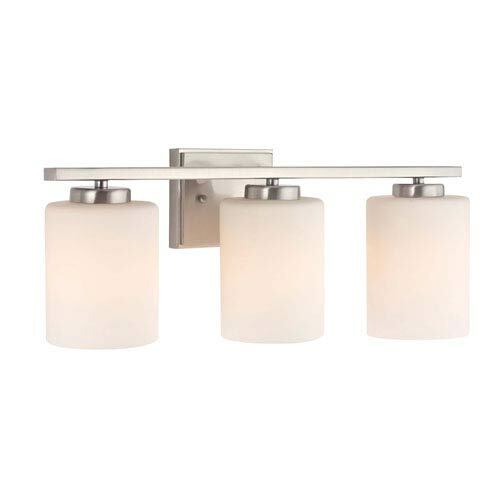 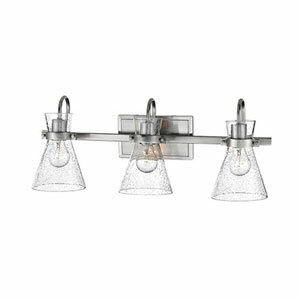 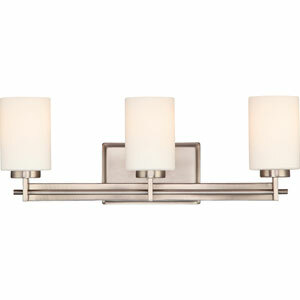 Chloe Three-Light Satin Nickel Bath Bar. 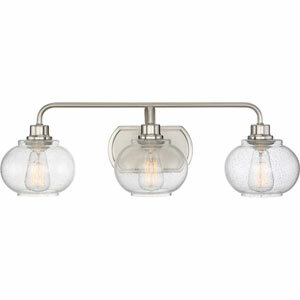 Glass Hangs Up or Down. 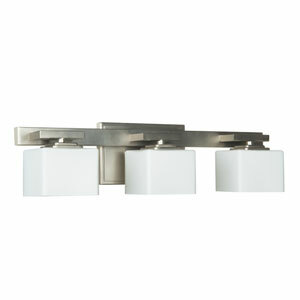 Backplate: 4.25"H x 5"W x 0.875"D.